My Sciatica is Playing Up Again! When we talk about sciatica we are really specifically talking about the kind of lower back pain which travels down the back of the leg and goes past the knee. This kind of lower back pain will also often have signs like tingling or numbness down the leg to the toes as well as muscle weakness on the affected side. Sciatica can be a very painful and concerning form of lower back pain, but there are proven treatments for it and it helps a lot to know when to apply them. When we’re talking about chronic sciatica we’re talking about sciatica that has been present for a few months, or has gone away and returned again. With this kind of pain exercise is key; most people in this situation need to take a bit more control of the problem. 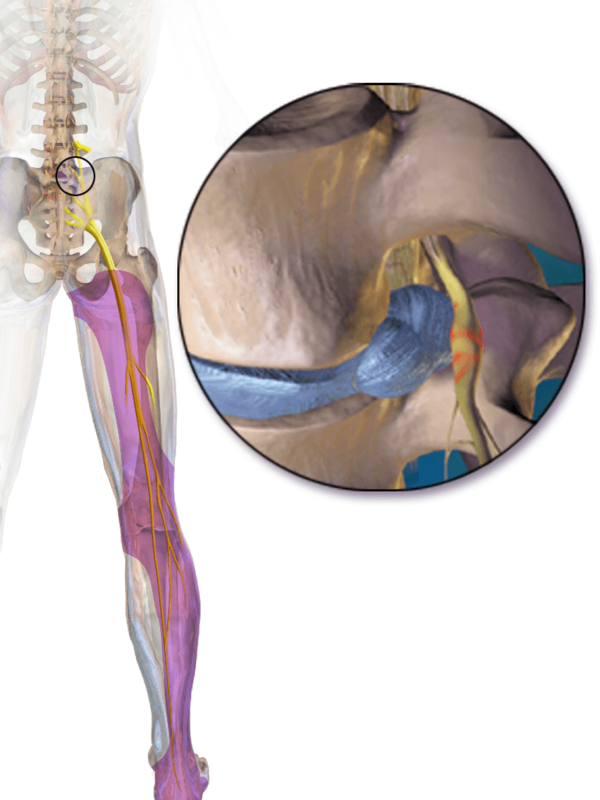 How Do We Treat Sciatica? When we think about exercise for back pain we are rarely looking at an instant fix, if your problem has been around for a few months or years then it will likely take a few months to make an improvement. We start gently too, we don’t want you to go out and do a thousand crunches a day or start deadlifting a hundred kilos because that’s what you did when you were 17 years old. Start slow and work up, we’re trying to heal, not hurt here. Do something light that you can progress and build upon, especially if it’s cheap and you can do it at home. Have a chat to your doctor or chiropractor to make sure it’s safe for you, then try walking, cycling or swimming for starters. If you like a more structured approach there are some studies now showing that Tai Chi or Yoga classes might be more useful than other forms of exercise. If you’re not sure what you are doing is right for you or if you need a more targeted approach then supervised exercise will probably beat out all the rest. You can work with a chiropractor, an exercise physiologist or a physiotherapist for this. They’ll teach you the right way to move your body and they can modify exercises to suit your needs. They can also help you determine what might be “good pain” and what might be “bad pain”, if your exercise makes your back pain a little worse but improves the symptoms in your legs that might be okay under supervision. If your exercise makes your leg tingle more, or makes numbness and weakness more noticeable then we will stop that exercise, we don’t want any extra pressure on these nerves. The key here is that exercise works best for back pain that has been around for a while. You will reap the benefits as long as you choose something what works for you, something that you are interested in, and something that you can pursue long term.